p>The thrilling new book from New York Times best-selling author David Mack. The time is 8:00 p.m. Jack Bauer is a man without a country, a fugitive hunted by the most powerful nations in the world. He lives on the run, survives by his wits, and finds purpose in his exile by waging a one-man war against those who profit from the deaths and sufferings of others. On a self-imposed crusade to destroy the criminal empire of international arms dealer Karl Rask, Jack has infiltrated the crew of one of Rask's freighters. But his mission is disrupted when the ship is hijacked by a band of suspiciously well-informed pirates off the coast of Somalia. As Jack fights to free the ship, he discovers a deadly secret hidden in its hold: a prize the pirates were hired to steal and that could be used to ignite a world war - unless Jack captures it first. I truly enjoyed this book. Both the writing and narration are great. 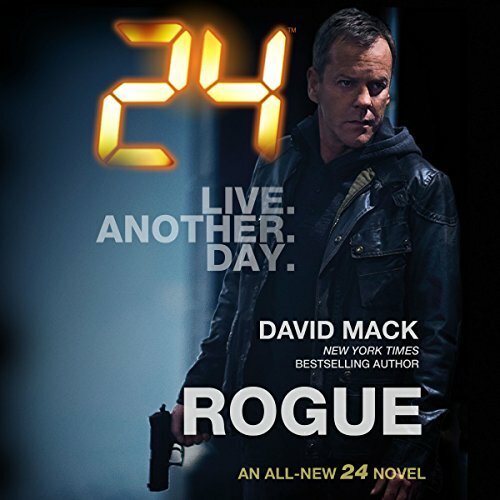 As a huge fan of the 24 series and all things "Jack Bauer", I hope the author will consider writing many more sequels. I'm a customer. Suspenseful storyline, depth of characters, and believable action. of course, the unstoppable Bauer gets beat to all he'll and back and like Rocky still seems to make it out fine, but more believe able than other story archs. great costar character that places Jack on a new path of trusting others. After Deadline, I was expecting Rogue to be just as good and was very disappointed.